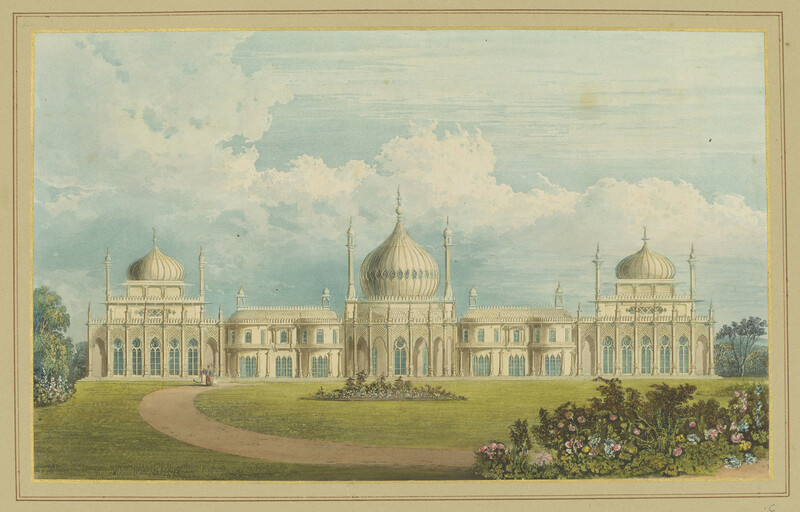 This is a later edition of Nash’s original publication of illustrations of the exterior and interiors of the Royal Pavilion at Brighton. It incorporates Nash’s original dedication to George IV and plate listing, as well as a new dedication to Queen Victoria, a listing of the illustrations and an essay by Edward Wedlake Brayley entitled A History of the Palace at Brighton. John Nash was the architect of the Royal Pavilion and responsible for its transformation from a modest villa to a grand palace. He also led a number of other large-scale royal building projects, and both the exterior and interiors of the palace at Brighton were strongly influenced by the fashionable tastes of the orient.